ESPNCubs center fielder Ian Happ was ready for the baseball season to start — hitting the first major league pitch of the year right out of the park. The 2018 MLB season started off with a bang as Chicago Cubs center fielder Ian Happ hit a home run on the very first pitch of the year. 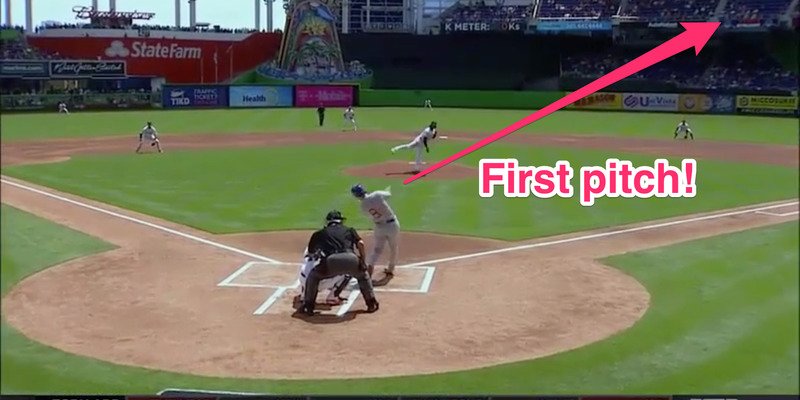 It was the 25th home run of Happ’s career, and be just the start of a rough first inning for the Marlins, who gutted their team in the offseason. A year removed from shattering the home run record in 2017, baseball is already looking to break it once again. Baseball fans around the world were excited about Opening Day 2018, but it’s likely that no one was more prepared than Chicago Cubs center fielder Ian Happ. With the Cubs facing off against the Miami Marlins in Florida in the first game of Opening Day, Happ led off for the Cubs and was thus the first batter of the 2018 MLB season. He would not waste the opportunity. 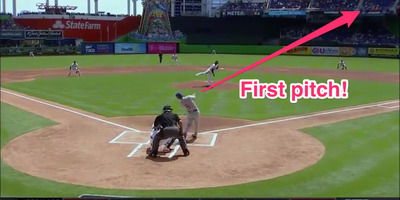 Facing down Marlins pitcher Jose Urena, Happ swung at the first pitch he saw and sent it out of the park for the first home run of the year. It was the 25th home run of Happ’s career and would be the start of the Cubs offensive outburst, with Chicago scoring two more runs before the end of the first to give Cubs starting pitcher Jon Lester a 3-0 before he even took the mound. Urena would need 36 pitches to get through the inning. It’s quite a way to start the year – last year, baseball saw so many home runs that some began to suspect the balls were juiced. Now, just minutes into the 2018 season, we’re already counting towards breaking the record set last year.